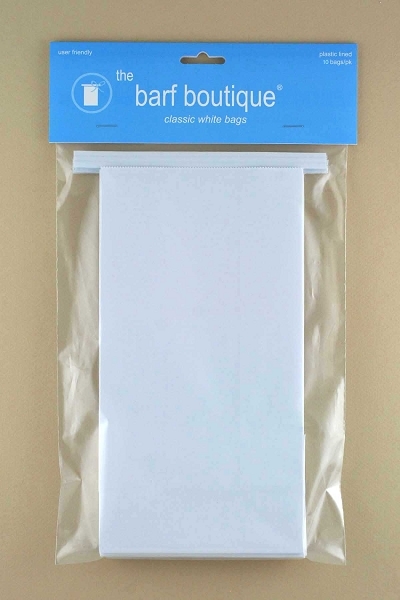 Classic White Vomit/Barf Bags by The Barf Boutique® for Travel Motion Sickness & Morning Sickness. Perfect for car sick kids, pregnant women, drunk UBER & Lyft passengers, chemotherapy patients, etc. 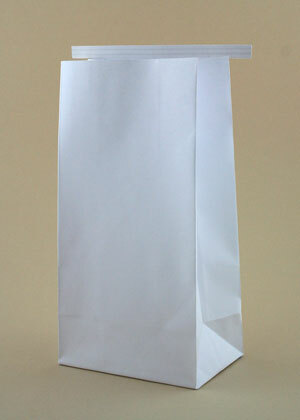 Dimensions: 9.5" x 5" x 3"
Classic White Vomit/Barf Bags by The Barf Boutique® are specially made to be stronger and more durable than most commercially available disposable paper sick bags. Since 2010, The Barf Boutique has specialized in selling over 115 original fun & funky barf bag designs as well as our signature "Classic White" Bags. Our bags have helped thousands of car sick travelers, pregnant women, chemotherapy patients, drunk college students, and everyone in between avoid the mess and embarrassment of vomiting in public. All bags are hand packed at The Barf Boutique headquarters in Seattle.